It was a hot afternoon as the sun shone mercilessly. My wife and I stood in the shade of a tree and awaited the arrival of her sister's family who had rendezvous with us at the adjacent religious site. She had flown in from Kolkata with her husband in the morning and had an appointment with the management of the temple. After about fifteen minutes we spotted them heading toward the temple and joined them. We had spent about two hours at the complex and then it was time to go back.So, we bid them adieu as they were scheduled to take the return flight later in the evening. While we exchanged the pleasantries my sister in law suddenly realized that her mobile phone was missing. All the joy of meeting thinned, as we all looked in different places.It was misplaced in just a matter of few minutes as she was talking to her friends, a while ago. It was an expensive latest I-phone and the loss had dampened the spirits. After about half an hour of futile search, they went and lodged a complaint with the temple trust and took the cab for a return ride to the airport. On our way back my wife and I too discussed the sudden loss and tried to reconstruct the events. Next day when they had reached Kolkata I spoke to my sister in law who sounded depressed due to the loss. I tried to pacify her mentioning that such things happen with most of us some time or other.I even recounted how I had lost a mobile phone on arriving at Geneva airport a couple of years back. Fortunately, before leaving the train terminal, I quickly rushed to the airport where the train by which we had arrived, had terminated. The dame luck smiled at me when the 'Lost Property Officer' at the airport terminal magically waved the phone at me after due identification process. Coming back to the main event, after almost fifteen days, my wife suddenly got a call from an unidentified mobile number and the caller told her that he had the mobile phone lost by her sister. On enquiry, he revealed that he had learnt the mobile number of her sister who lived in Kolkata and also my wife's number from some recently dialled number list. After a brief conversation, my wife said that I (her husband ) would call him back. Soon enough, I did get in touch with the guy who mentioned that his parents were wild when they learnt that he had contacted my wife and told him that he could be in trouble with the law agencies. A little calm headed discussion helped in coercing him to meet me the next day at a nearby metro station. Next morning when I reached the metro station the stranger did not show up and after a few minutes of frantic calling, I managed to speak to him. He spun a long yarn as to why he would be in trouble if I handed him over to the police in a worst case situation. No amount of convincing helped and he hung up. I informed my brother in law of the new twist and asked him to pursue, if possible. For next two days, intense discussions and debates ensued.On the third day, the caller called up again.I spoke to him and he agreed to hand over the mobile phone to me at the Kashmere Gate Metro station, which was perhaps nearer to his residence. He told me that he had not been able to sleep for last few days. I rushed to the metro station and as I stepped out of the train my mobile was ringing. I met him at the designated spot. A hefty spectacled boy about twenty years old spotted me and handed over the pink I phone which had been missing for days! I thanked him and tapped his shoulder acknowledging the good deed and without saying anything beyond 'Thank You' saw him slowly melting in the crowd. In a country of billion plus where a vast majority of the population earns about just 150 USD a month, and struggle to make two ends meet, there was an individual with a conscience who parted with a mobile phone costing over 1200 USD without a blink! So the incident makes it significant that those who are struggling in daily lives have moral standards that are higher than many who are better placed than them. In another week from now I will meet my sister in law in Kolkata where I plan to travel with the recovered I phone and to see the 'joy on her face'. My belief in serendipity and the goodness that exists all around me has only strengthened further. That was a good deed the boy did in handing over the phone. 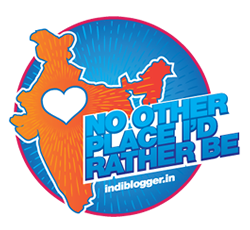 I lost mine at the Taj festival and wrote about it too! No news about it, though we had complained about it at the local police station! Thanks for reading Sandhya! Lucky to have found it back. Miracles just do not happen, they are created. There is this extra ordinary power which creates it. What influenced the boy after many days, is to be given a thought, what influenced him is to be pondered and to top it how he could locate the right people to handover the phone is the mystery which is known only by ......... Jai Guruji. Quite agree with you and the joy of finding back something could not be greater. Brother you are rahul. I am also rahul. But your post suggest miracles can happen any times just we need to be positive. Not everybody can't have such guts, Sir. I have a similar story too where the conscience asked of that guy to return the suitcase he had stolen from a shop in the US. I could not agree more, Alok! An amazing story with a happy ending.Actual incident or figment of your creative imagination ? Feel reassured that the times havent gone so bad as we think, there are honest people out there, only the number is less. Very good to read and learn. Instances like these are reassuring to read. Thank god, goodness is not dead yet.